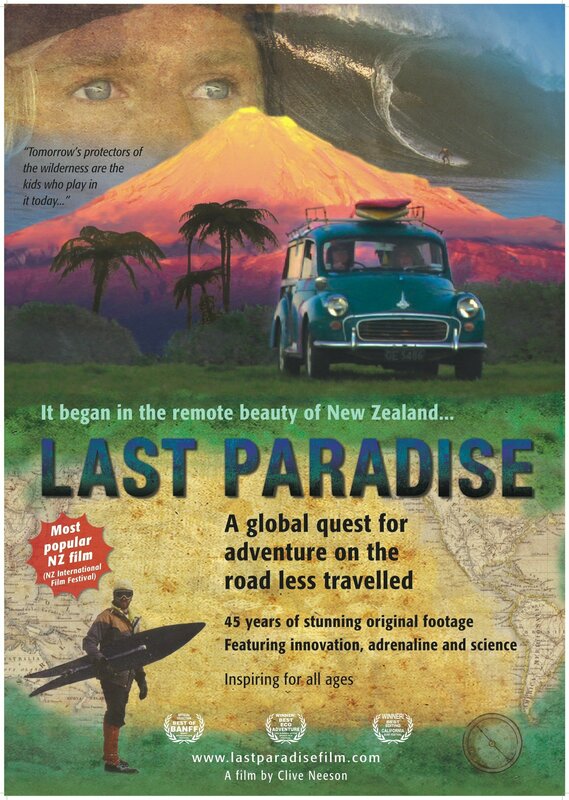 In the beautiful wilderness of New Zealand a daredevil bunch of kids in the 60's experimented with something that would change the world of adventure travel. This is their global quest for adrenalin in 45 years of stunning original footage. Quirky, humorous and very inspirational movie. I am a surfer and I don't usually bother watching surfing movies. Last Paradise is far more than just a surfing moving. Anyone who had an adventurous childhood which continued into their adult life would love this movie! The cinematography is brilliant.The old footage very interesting and the environmental message simple but moving. Last Paradise has already won several awards overseas including the "X Dance"and "California" Film Festivals. Quite an incredible feat for one man on a very limited budget. The best movie I have seen for a long time and I would recommend it anyone with a sense of adventure who cares about the future of our planet. Thrilling, gut rushing. Sent tingles up my spine. The jaw-dropping cinematography and fantastic sound and music composition brought the beautiful and rare archive footage to life in a way which is seldom experienced in cinema. Clive Neeson's lifetime creation really comes from the heart. With a unique angle it reveals to us how we used to be and what's in our future. It needs to be appreciated that the whole film was produced, directed, written, filmed and beautifully narrated by one person over 45 years. As well as a gripping story, it's a rare and timeless piece of high quality art.